Dr. Tantisira graduated at the top of her class from the UH John A Burns School of Medicine in 1990 and chose to specialize in ophthalmology partially because of her own eye problems. She did her internship here at University of Hawaii, then completed her residency at the Eye and Ear Institute at the University of Pittsburgh. 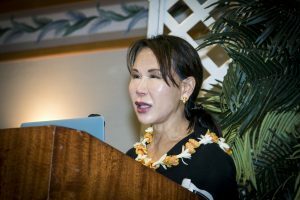 After returning to Honolulu and practicing with the Honolulu Medical Group for nearly 10 years, she opened her private practice, True Vision Center in 2004, where she practices general ophthalmology, does eyelid surgeries for both medical and cosmetic reasons, and performs non-surgical cosmetic procedures. 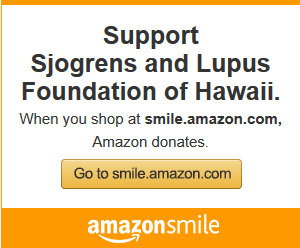 She is board-certified in ophthalmology and is an assistant clinical professor for the University of Hawaii, helping teach medical students whenever possible. Dr. Tantisira herself has Sjogren’s Syndrome with advanced keratitis sicca, so she is very familiar with the treatments and adaptations that patients must undergo to manage their disease. Having tried most of the treatments for severe dry eye, she will be able to help you learn how they seem to work for herself and her patients. Her knowledge and experience as an Ophthalmologist as well as living her life with Sjögren’s syndrome for many years, is a great asset to the foundation as a Medical Advisory Council member! For more information about Dr. Tantisira please call True Vision Center (808)591-9111 or visit truevisioncenterhawaii.com.